Home » Events » Baby to Toddler Show Sandown Park 7-9th April Click here for ⅓ off ticket price! 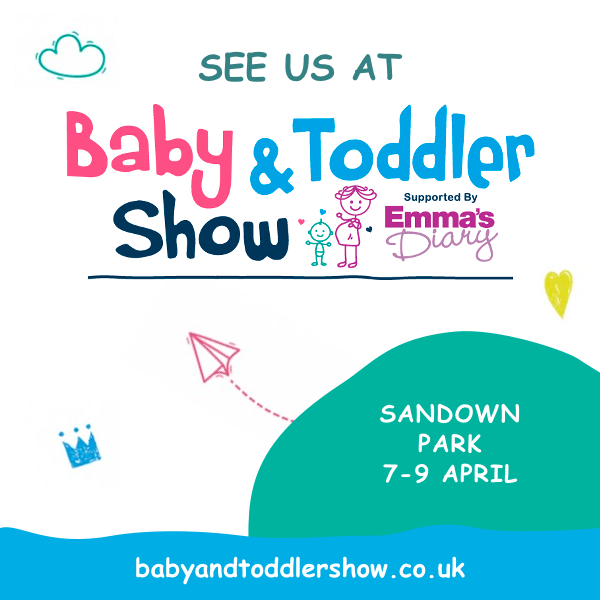 We are exhibiting at the Baby to Toddler Show, Sandown Park on 7th-9th April. Please come and see us at Stand C25 where we will have a range of products on display and will be offering 25% off all orders placed at the show. Click here to book your tickets Quote SBT15 for ⅓ off your ticket price.